Burn Fat By Activating These Hormones - You Have The Power! Hormones are powerful. We feel really good when they are balanced, and pretty terrible when they’re not. Hormones not only influence metabolism, but are key factors affecting mood, well-being, and energy levels. Are you doing everything right, but the scale won’t budge? Hormonal imbalances may be the underlying cause. Empower yourself by learning how hormones regulate weight, and how to burn fat by activating these hormones. Following a healthy eating plan, and exercising consistently, is a great equation, and works for weight loss IF your hormones are balanced. If your hormones are all over the place, this strategy is only a theory, and doesn’t translate to weight loss in the real world. It’s frustrating! What hormones are causing havoc with your metabolism, and sabotaging your best-laid plans? Thyroid hormones have an enormous impact on metabolism. Think of your thyroid as the gas pedal. If it’s not functioning up to par, weight loss is going to be an uphill battle, and not an enjoyable one. You’ll also feel tired, weak, achy, emotional, and unmotivated. A sluggish metabolism leads to fluid buildup, which doesn’t help matters because you’ll not only feel fat, but puffy, as well. Optimizing thyroid hormones is critical if you’re looking to balance your metabolism, feel well, and burn fat. Thyroid hormones are sensitive not only to your internal environment, but to external cues as well. What you eat, the quality of your sleep, how stressed you are, and your exercise habits, all influence thyroid hormone production. Your liver and microbiome play a role in thyroid function as they are responsible, in part, for the conversion of the inactive storage form of thyroid hormone (T4) into the active form (T3). Focus on getting enough minerals and fiber in your diet to optimize your microbiome and liver health. Chronic dieting negatively impacts thyroid hormones as your body senses that food is scarce, and lowers metabolism. Estrogen dominance also affects thyroid function as it binds thyroid hormones. Steer clear of pesticides, plastics, and soy as they all contribute to excess estrogen. Eat only organic meats and milk to decrease your intake of synthetic hormones, pesticides, and antibiotics. Detoxify your liver, periodically, as it is responsible for clearing toxic estrogens. Also, be aware of how the birth control pill affects thyroid function. Correct a vitamin-D deficiency if yours is low. Engaging in healthy lifestyle habits optimize thyroid function. 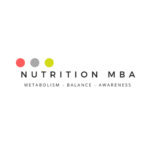 However, if you suspect your levels may still be low, It’s a good idea to get them checked because of the impact they have on metabolic rate. Here’s a reputable site. Stressful lifestyles lead to chronically elevated cortisol levels, leading to mid-section weight gain, and impeding fat loss. Cortisol is a glucocorticoid steroid hormone secreted by the adrenal glands in response to stress, and is vital for optimal physiology. High cortisol is implicated in long-term health problems, such as, hormonal imbalances, anxiety, fatigue, osteoporosis, infertility, and increased cardiovascular risk. Finding ways to manage stress through mindfulness, meditation, deep breathing, adequate sleep, appropriate exercise, and a nourishing diet will help to balance this stress hormone. Managing your blood sugar levels, and lowering inflammation lead to healthier cortisol levels – as does an anti-inflammatory diet with an emphasis on low-glycemic foods. Minerals, antioxidants, adequate fiber intake, and probiotic-rich foods all affect cortisol levels favorably. Magnesium and B-vitamin supplementation are also helpful. Progesterone can even out the negative effects of dysregulated cortisol. Eliminate foods you suspect you have a sensitivity to as cortisol levels increase, in response to the inflammation, caused by food sensitivities, such as, gluten, dairy, corn, and soy. 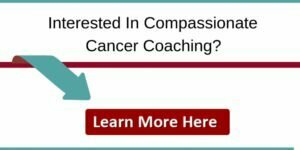 Click here if you are interested in finding out more. Any menopausal woman can attest to the importance of estrogen for a healthy mood and metabolism. As menopause approaches, both estrogen and progesterone decline initiating many changes in the female body. Estrogen dominance is an imbalanced ratio of the hormones estrogen and progesterone. Weight gain is common If estrogen levels are high in relation to progesterone. This weight gain is, typically, mid-section visceral fat that is inflammatory in nature. Low levels of estrogen also stimulate appetite. Decreasing exposure to endocrine disruptors will minimize estrogen dominance, and the ensuing metabolic chaos. As estrogen decreases, insulin rises, making it easy to gain weight, and almost impossible, to lose it. Fiber is important for clearing excess estrogen. Try to consume around 40 grams of fiber per day – flax seeds and cruciferous vegetables are both fiber-rich. Be cognizant of your carb intake, and blood-sugar levels. Taking natural progesterone will help to balance elevated estrogen. 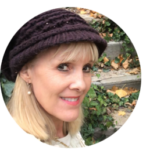 I’m a fan of bio-identical hormones as a woman approaches menopause because of the impact female hormones have on metabolism, and the relationship that falling levels of estrogen have to insulin resistance. And don’t forget to supplement with magnesium, the miracle mineral. Leptin, the “hormone of energy expenditure”, is secreted by fat cells, and signals satiety. Basically, it tells you when you’ve had enough food. It decreases appetite, and tells your brain how much body fat you have to burn. Binge eating and chronic dieting both affect how your brain receives this information. You want leptin on your side as it inhibits hunger, boosts metabolism, and regulates body weight. It is opposed by grehlin, “the hunger hormone”, released in the stomach, which stimulates appetite. It is thought that leptin may help to regulate ghrelin. Over and under-eating both influence leptin levels. Sleep deprivation leads to an increase in ghrelin, which will sabotage your weight-loss efforts. On the other hand, getting enough sleep optimizes leptin levels, which we need for healthy weight loss. Focus on eating balanced meals with adequate protein and fat, while moderating carbohydrate intake. Eating slowly at meals will optimize leptin levels, as will losing weight. Think of glucagon as a fat burner. It opposes the action of insulin. Higher levels of this important hormone enable fat burning versus fat storage. Glucagon and insulin, together, regulate blood sugar and energy production. When insulin levels are low, glucagon is high, triggering fat burning. Glucagon is secreted by the alpha cells in the pancreas, and rises in response to low blood-glucose levels. To optimize glucagon, don’t overeat, and like all other hormones, keep your blood-sugar levels balanced by minimizing carb intake, consuming healthy protein, and exercising. Since insulin and glucagon oppose each other, lowering insulin leads to glucagon release. Glucagon signals lipolysis, a process in the body that allows stored fat to be used as energy. The adrenal glands secrete adrenaline, or epinephrine, in response to stress. It is the “fight or flight hormone”, and signals fat burning. This fat-burning effect is decreased if cortisol levels are imbalanced. Keep cortisol levels in range (see above) to optimize healthy adrenaline levels. Growth Hormone and testosterone are also influenced by adrenaline. Exercise causes adrenaline to be released, leading to increased strength and energy, and better focus. Interval training is a great way to stimulate adrenaline, and signals other fat-burning hormones to be released. Think of this hormone as allowing stored fats and sugars to be used for energy. It also suppresses appetite. The adrenal glands secrete DHEA, which is important for healthy estrogen and testosterone levels. It is one of the most essential hormones for good health, and is considered the “health and youth” hormone. 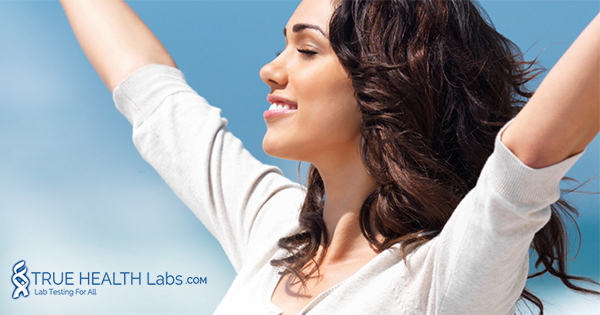 DHEA is also an “anti-stress” hormone that counteracts the negative effects of cortisol. It supports muscle growth, which directly correlates with a healthy metabolism, and fat loss. DHEA supports immunity, repairs tissue, reduces cardiovascular risk, decreases oxidative stress, enhances sexual function, and improves mental capacity. As levels of this hormone decline with age, supplementing with it may be beneficial for overall well being. This is the product I use to stimulate DHEA production on the skin. It’s also a terrific way to build your magnesium stores. Optimize DHEA levels by reducing cortisol through targeted lifestyle strategies. Thyroid function is also directly correlated with levels of DHEA. 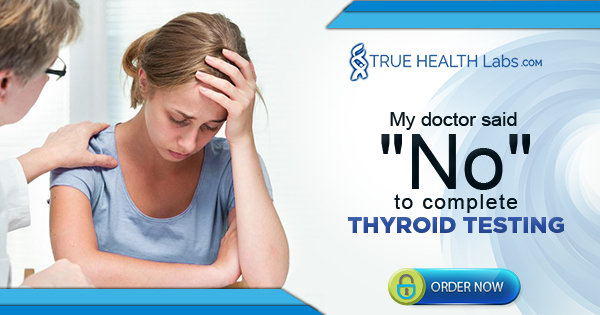 Decreased thyroid hormone results in low DHEA levels. Refer to the section above on tips to optimize thyroid health. Testosterone is another hormone important for metabolic function and weight loss. It builds muscle, improves bone density, increases libido, and boosts metabolism. Boosting DHEA and testosterone will add two more effective weapons to your fat-burning arsenal. This amazing fat-burning hormone is released during deep sleep. HGH increases lipolysis – the breakdown of stored fat – leading to weight loss. Think of HGH as “the regenerator” as it repairs tissue and builds muscle. High insulin levels – “the fat-storing” hormone – reduces HGH production so bringing excessive levels of this hormone down will ramp up levels of HGH. Human growth hormone, along with DHEA, has long been referred to as the “fountain of youth” and an “anti-aging” hormone. Deep sleep and exercise, specifically, interval training, maximizes the release of this hormone as does consuming healthy protein. Adiponectin is a plasma protein produced and released from adipose tissue. High levels of adiponectin lead to increased fat burning, better energy levels, and higher calorie expenditure. Low levels of this hormone are associated with dangerous visceral fat rather than subcutaneous fat. Adiponectin also improves insulin sensitivity, leading to better blood-sugar control. If this weren’t enough, it boosts metabolism, curbs appetite, regulates energy homeostasis, and promotes fatty acid oxidation in the liver and muscle tissue – all leading to better weight control. Replace excess carbs with healthy fat, exercise consistently, and reduce body fat to increase adiponectin levels. If you’re curious what your levels are, check them here. CCK is a satiety hormone released in the small intestine from consuming fat, protein, and fiber. Receptors are also found in the brain. This hormone is important for weight loss as it suppresses hunger. Interestingly, both insulin and leptin resistance lead to a reduced sensitivity to CCK, lessening the effects it has on satiety, and reduced caloric intake. This leads to overeating and weight gain. CCK affects the digestive system in multiple ways. It regulates gut motility, gallbladder contraction, enzyme secretion from the pancreas, and gastric-acid secretion and emptying. Optimize this hormone by eating a low-carb, fiber-rich diet. Consuming chlorophyll correlates with increases in CCK. Whether we burn fat or store fat is largely dictated by our hormones. The good news is that we can impact the metabolic messages these hormones send by engaging in healthy lifestyle strategies. Eating a nourishing, fiber-rich diet, getting adequate exercise, managing stress, optimizing your sleep, and supplementing appropriately all lead to better hormonal balance. Reset your metabolism by optimizing these fat-burning hormones to increase fat loss, leading to a healthier and happier you. Are you struggling to lose weight? Please leave your comments and questions below.